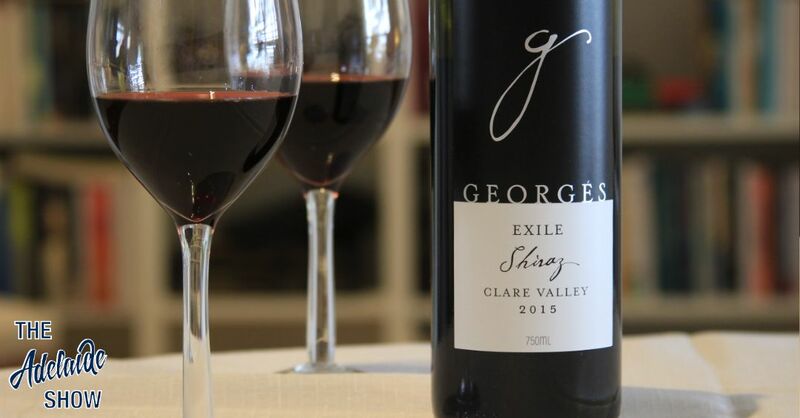 The 2015 Georges Wines Exile Shiraz Clare Valley worked on two levels for this episode; Mary Lee was in a kind of exile in South Australia, and Denise George’s son now handles marketing for George Wines. It was with great joy that our guest for episode 267, Denise George, author of Mary Lee, The Life and times of a ‘turbulent anarchist’ and her battle for women’s rights, published by Wakefield Press, opened the bottle of Exile Shiraz for us to try. As we sat, overlooking the very seas that Mary would have traversed as she arrived in South Australia in the mid 1800s, this wine did its job of loosening the stories and letting important, social communication flow. As a side note, the first vineyards Georges Wines‘ bought were in Amargh in the Clare Valley, which, coincidentally, was the name of the city in Ireland that Mary Lee was from. The first thing Steve noticed were the beautiful, dark colours of this wine in the glass, with a brilliant, ruby red meniscus around the edge of the glass, similar to those flaring, red sunsets seen during summer of the Adelaide coast. On his palate, Steve said this wine was solid and all encompassing, just like some of the large, mighty ships that once plied the routes from England to South Australia. Similar to the safety Steve once felt, standing on the deck of one of these old, sturdy ships in Southampton, this wine also brings a sense of safety with a strong, nurturing edge to it, as it boldly and confidently sails across your palate. There was no vibrant fruit on deck for Steve, instead he got a cooling effect on the palate like a seabreeze, leading to a beautiful finish that would make this wine the perfect accompaniment for almost any meal or food. The 2015 Georges Wines Exile Shiraz Clare Valley is the South Australian Drink Of The Week, and you can hear our live tasting in episode 267 of The Adelaide Show Podcast via the player below or by searching for us in your favourite podcast app.